Dr Derek Lok is an advanced reproductive surgeon and leading fertility specialist who holds a Certificate in Reproductive Endocrinology and Infertility (CREI). He graduated from the University of Hong Kong with a Bachelor of Medicine, Bachelor of Surgery (MBChB) before completing a Doctor of Philosophy (PhD) in the field of feto-maternal medicine at University of Adelaide. Dr Lok undertook specialist training in obstetrics and gynaecology in Sydney and Adelaide, followed by subspecialist training in reproductive endocrinology and infertility in Adelaide and the United Kingdom. Dr Lok became a Fellow of the Royal Australian and New Zealand College of Obstetricians and Gynaecologists (RANZCOG) in 2001 and gained subspecialist Certificate in Reproductive Endocrinology and Infertility (CREI) in 2002. He expanded his clinical experiences overseas as a clinical fellow/lecturer at the University of Sheffield, UK and in the endoscopic units in Oxford, London, Paris, Germany, Montreal and Seoul. Dr Lok is a consultant gynaecologist at the Royal Prince Alfred Hospital, Liverpool Hospital, and Westmead Hospital. Dr Lok has a special interest and provides specialist expertise in male factor infertility, including microsurgical sperm retrieval, preimplantation genetic diagnosis and screening, along with miscarriage management. He performs advanced reproductive surgeries for both females and males, including laparoscopic fibroid removals (myomectomies), vasectomy and laparoscopic tubal reversals. Dr Lok has expertise to perform these procedures through unique minimally invasive microsurgical approaches, delivering improved precision and reducing tissue handling/trauma, permitting rapid recovery and strong outcomes. Dr Lok offers a comprehensive approach to fertility treatment delivered in a caring and supportive manner. 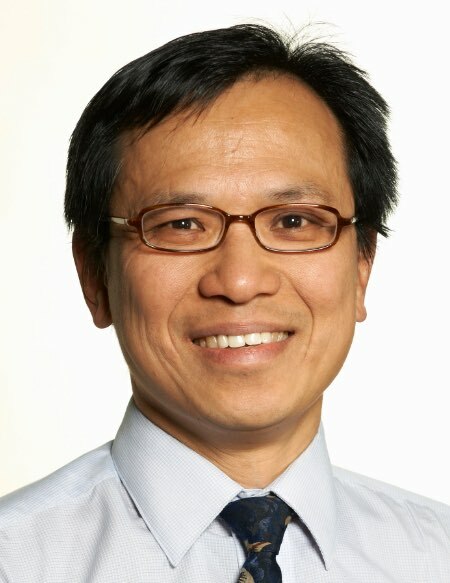 Dr Lok is a senior clinical lecturer at the University of Sydney and the University of New South Wales, where he is involved in undergraduate teaching, specialist and subspecialist training for advanced trainees. Dr Lok speaks fluent Cantonese and Mandarin. Email [email protected] or call (02) 8734 3395 to make an appointment with Dr Lok.